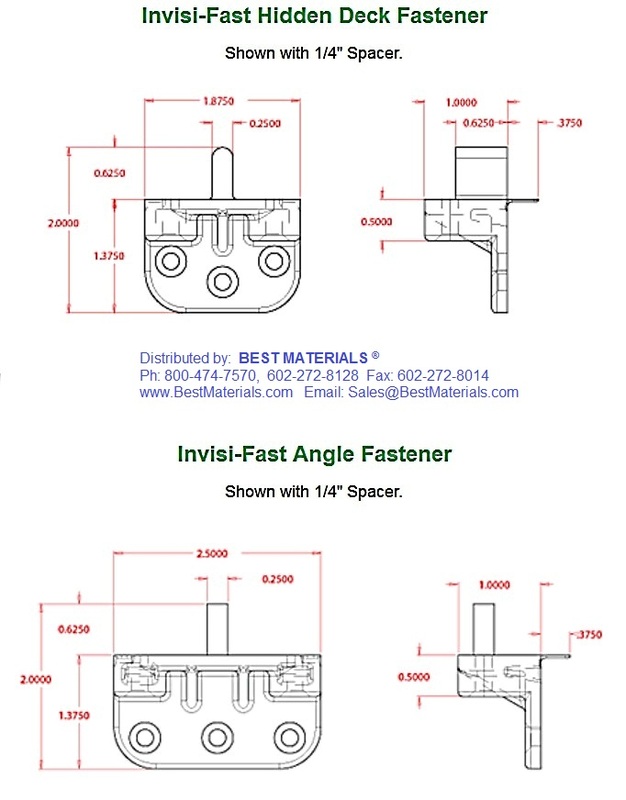 DESCRIPTION: The Invisi-Fast Fasteners are made of tough, UV resistant Lexan to ensure durability. 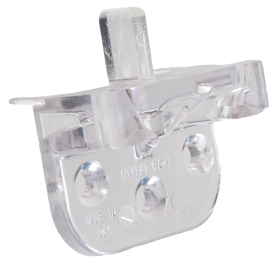 The built on 3/16" spacer ensures proper spacing while keeping a clean, "screw-less" top. Proudly made in the USA. See Drawing. #9 x 1 Stainless Steel Wood Deck Screw. Flat Head, Square Drive, Sharp Point. 100/Bag. Price/Bag. #9 x 1-1/4 Stainless Steel Wood Deck Screw. Flat Head, #2 Square Drive, Sharp Point. 100/Bag. Price/Bag. #9 X 1-5/8 Inch OUTDOOR / WOOD DECK SCREW, BUGLE HEAD, LIFECOAT / ACQ FINISH, QUADREX OR SQUARE DRIVE (inventory varies), PRICE PER 100.